Tim’s down-to-earth style and real-life humor leaves a lasting impression that audiences will benefit from for years to come. His skillful use of ordinary items in extraordinary ways and extraordinary items in everyday ways make him one of the most popular main stage speakers on the platform today. Becoming more resilient is not about telling jokes or laughing at everything. Instead of making light of serious issues, Tim shines a light on unseen possibilities for solutions to difficult situations. He demonstrates how to be professional, yet light-hearted throughout all his programs. Take-home value that improves performance and workplace attitude. 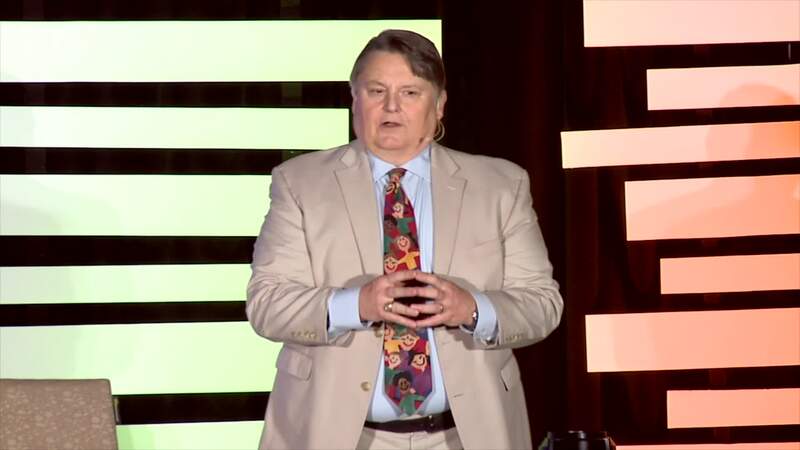 As a business speaker, Tim shows leaders how to enhance productivity and employee enthusiasm using his humor stress diffusion tactics in everyday situations. He facilitates an unforgettable experience that improves the quality of interactions. At the same time, he’s instilling an enthusiasm for non-malicious mischief that no one should live without! For two decades, Tim has provided hilariously entertaining, fast-paced, and informative programs from Texas to Tasmania. His universal message translates to a diverse range of audiences of every size. An internationally recognized authority on stress reduction and conflict resolution, Tim’s easy-to- implement techniques provide audiences with ways to diffuse, deal with, and even avoid intensely stressful encounters. When relating to business leaders, Tim “walks his talk” as a successful business owner himself for more than 20 years. Before starting his business, he worked in the Sales Industry, as well as State and Federal Government in Human Services, as a fraud investigator and is a navy veteran. Author of Just Plane Funny and My Policy Manual and co-author of Motivational Leaders and Humor Me, Tim also offers his own line of “stress buster” tools that are marketed worldwide. Tim will help you discover how to be more resilient and resourceful—both at work and in their personal lives—in this hilarious presentation. In Developing a Comic Vision®, attendees learn to see the humorous reality of daily stressors. See reality and share the fun of it with laughter, good humour, and most importantly, through the lens of your Comic Vision! 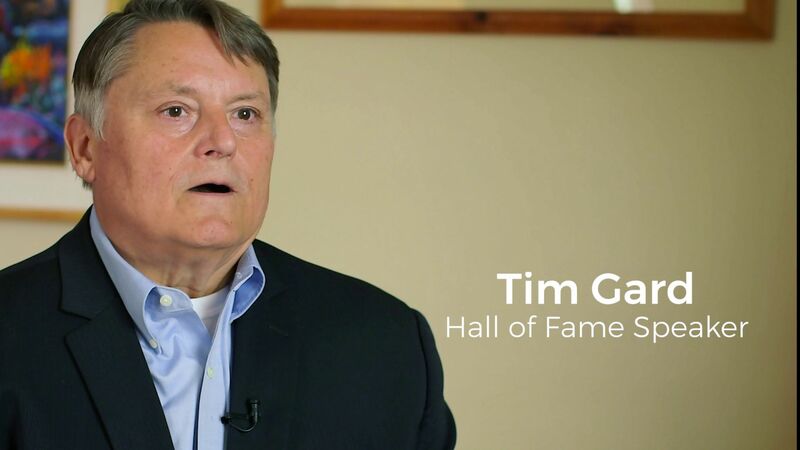 Portraying the daily (and often overwhelming) challenges found in these hectic times, Tim Gard offers his powerfully humorous approach to stress-diffusion, proven effective in both professional and personal encounters! Re-awaken your fancy for fun as you enjoy Tim's stories, learn how to use his unique Stress Buster Tools, and learn a new way to look at life - with your own Comic Vision. This topic is perfect for an opening or closing keynote! Maintaining balance in these hectic times is a challenge for all of us now and then, and stress-induced illness has become a recognized reality. In this full or half-day workshop, Tim Gard, CSP, CPAE provides participants with a fresh approach to stress-reduction by sharing his proven effective techniques which encourage teamwork, personal accountability and humour characteristics. A leading authority in stress-reduction through humour, Tim will show audiences how to diffuse frustration, aggravation and other negativities which, if left untended, can result in significant loss in productivity. Awaken understanding, and sharpen ability to use humor's positive effects in the workplace with Tim's Tao of Humour! Let Tim work with your group to awaken understanding, and sharpen ability to use humor's positive effects in the workplace. Life is a game. Business is a game. Literally, everything is a game with winners, losers, spectators. When your organization needs to reduce stress and dysfunction, it’s time to Change the Game! In the world of work, it's a problem when bench warmers who constantly coast by choice get paid the same as those who excel by intention. Yet it's part of most of the games we play, whether we like it or not. Perhaps you've heard the idiom 'there are no rules'. Well, there are rules to every game, but some are fixed, some are flexible, and some become obsolete during the game. What's more, some rules apply to some players, some players seem exempt from the rules, some get away with it, some do not. In the workplace, people experience conflicting rules, contradictory guidelines, and confusing policies. Yet, once you understand the basics of any game, you have three options: You can play the existing game, quit it, or change it. But can one person actually change the game? Without a doubt, the answer is yes. The secret lies in applying easy-to-understand and hard-to-forget concepts that you can use immediately (or choose to disregard and continue to coast). Within your organisation, how can all employees best play the game that achieves their most successful outcomes? Answering that question led me to create a new content-rich, laughter-filled program using the game of 'marbles' as a metaphor for the game of work. Learn how to play the game and choose to be the best player possible. Set your own game rules and not lose your marbles while playing the game. Find out how to write and implement your own game plan. Determine what part greed and laziness play in the game. Move one step ahead with humor (or stay two steps behind without it). Recognize how 'hassle' and 'likeability' factors affect the game. Apply a 'chlorophyll growth control philosophy' to your advantage. Learn why your before-work 'game face' and end-of-day 'dismount' can improve your morale. Of course, your success in one game doesn't guarantee your success in any other game. Basketball great Michael Jordan didn't make the cut in the majors when he changed to baseball. But when you apply the concepts in this program to your game, you can increase your options....and love to play your best game ever. The audience could not get enough of Tim! Standing Ovation from the entire audience! Laugh out loud funny. Engaging, funny and interesting. Tim Gard is hilariously funny and would be perfect to finish off a long day of conferencing. As a speaker and MC your content is fabulous, attention to detail is impeccable, and your 100% focus and commitment to your customer is highly valued. Oh and we actually think you're pretty funny too! The audience could not get enough of Tim! Standing Ovation from the entire audience!. As a speaker and MC your content is fabulous, attention to detail is impeccable, and your 100% focus and commitment to your customer is highly valued. Oh and we actually think you're pretty funny too!.